This beautiful pizza was as good as it looks! 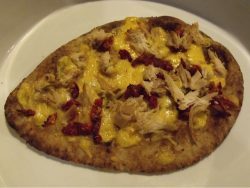 I did make the pizza, but can’t take credit for creating the recipe. 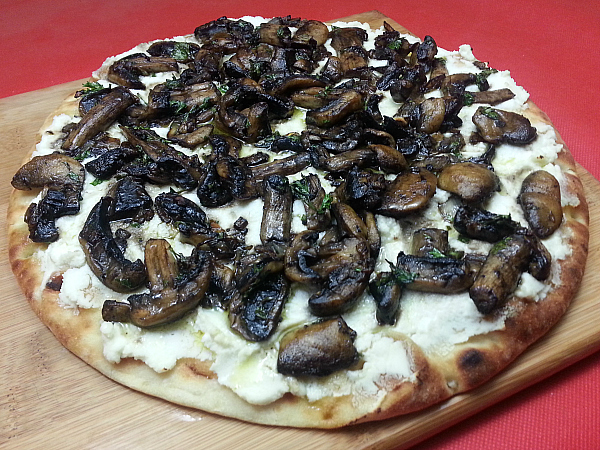 The Forest Mushroom Pizza recipe is courtesy of Celebrity Chef Marcel Vigneron of Top Chef and other Food Network shows. 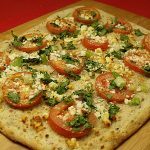 He has partnered with Stonefire Authentic Flatbreads and will be launching their nationwide food truck tour near Los Angeles. You are welcome to attend the launch event or catch up with the tour later as it makes it’s way around the country. Click HERE to download the pdf recipe card to print or save to your computer. 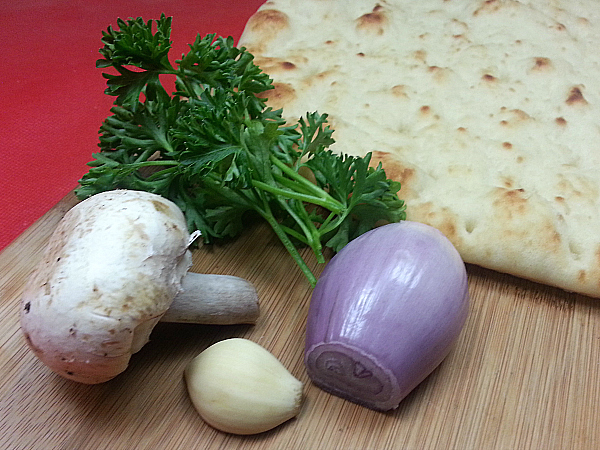 The recipe was really easy to prepare. 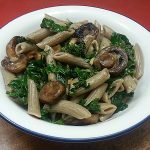 Often recipes from professionally trained chefs are difficult for untrained home cooks, but not this one. It was ready in less than 30 minutes and my family devoured it quickly. 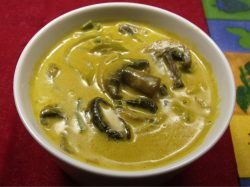 I made a couple of minor tweaks to the recipe. First, I left off the optional prosciutto to keep it vegetarian. Then I was accidentally (on purpose) heavy handed with the balsamic vinegar and used twice the amount the recipe called for. 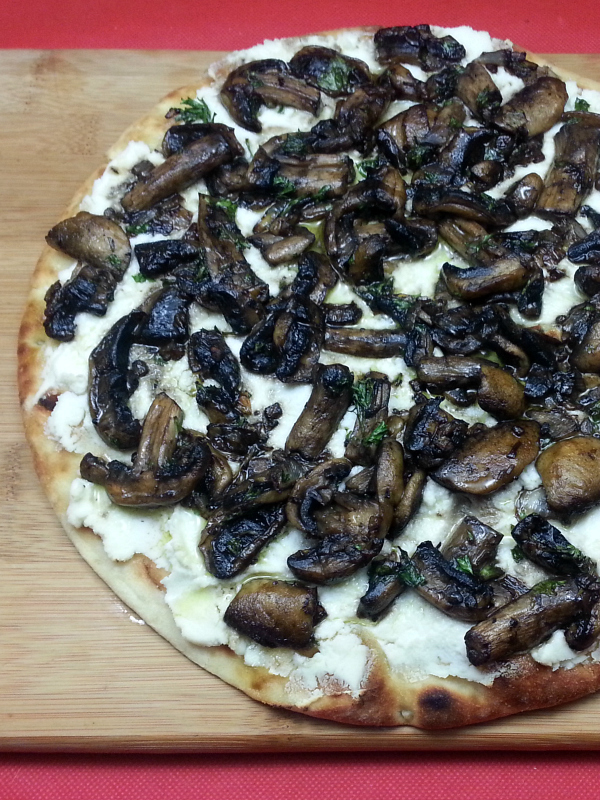 Stonefire Pizza Crusts are really easy to use. They do the baking just right, so I can just reheat it with the toppings and end up with a crust that tastes like I made it from scratch. 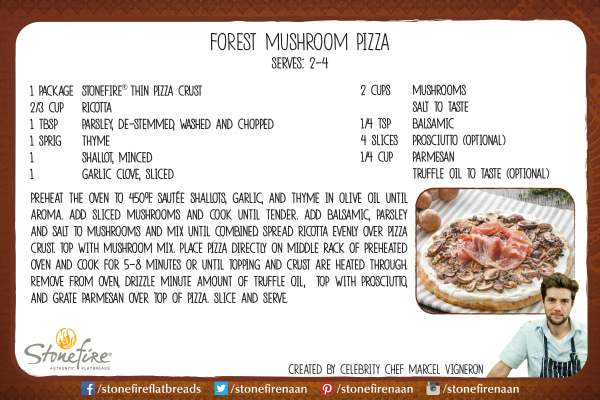 Thank you Chef Marcel Vigneron for the fantastic and easy to prepare pizza recipe!